This month we're asking our autistic community members What Do You Want? What Do You Need? We'll be featuring their answers all April long, right here. Please read, listen, and share. Today we're having a conversation with autistic advocate Star Ford. 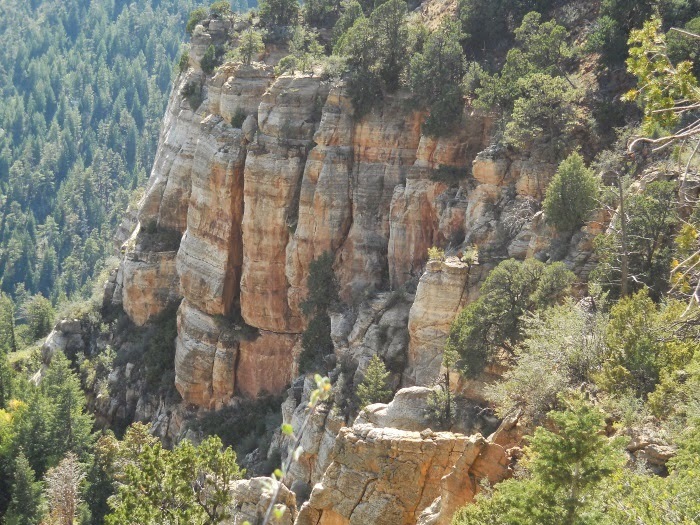 Star is the program manager of Ócate Cliffs, a planned mountain retreat for groups of 20-60, located near Ócate, New Mexico in the Sangre de Cristo mountains. A group of autistic people are building this retreat center from the ground up. What was the inspiration for Ócate Cliffs? It ties together many threads in my life from separate origins. A huge one is the experience of being in autistic space and other retreat settings, including Autreat, where I felt incredibly whole and accepted instead of broken and stressed. Other inspirations are my love of the mountains and environmental issues, as well as architecture and building. What is the mission of Ócate Cliffs? Our great experiment is to take the concept of autistic space and apply it to a workplace, so it's an "autistic workspace." Many of us have energy and a craving to contribute to the world in a big way, but too little opportunity to do so. This is a rental retreat center, and we'll be doing the cooking and all the other hospitality work, but it will be organized our way by us, and will place us in an inclusive and power-balanced relationship with the guests, not a subordinate relationship like a lot of disability focused work settings. When I first visited the East slope of the Sangre de Cristo mountains, it was my homecoming experience. The land speaks and sometimes we're lucky enough to hear it. I couldn't follow [through] for many years until this opportunity came up to buy these cliffs and wooded mesa top. The specific spot on the 140 acres where the buildings will surround a two-acre park is on the cusp of three different slopes and it combines earth energies in a way I can feel inside. So this is a very special place. Is Ócate Cliffs based on a specific community model: commune, kibbutz, etc.? Or are you creating your own model? It is a project of a nonprofit corporation (Divergent Labs), with a board of directors and a manager, and having that kind of typical organizational structure will keep it functional. But I envision also developing work policies that are very democratic and collaborative, and very autistic-friendly so our roles are unambiguous and we have open opportunities to contribute and grow personally. Since it is a summer-only center, it will be an intensive living and working together experience for three months at a time, not a permanent living situation. What are some strategies you've been considering for addressing different autistic people's needs? There are some patterns common to a lot of autistic people, like the need for clear communication, clear boundaries, integrity, time alone, and of course a sensory friendly environment -- so those things are foundational. There's also a dimension of a creative outlet that is unique to each person. I like to imagine that a person will come who bakes pies like a fiend, or carves tree stumps, or has some other creative love, and we'll try to support that and make it possible for that gift to be cultivated and be economically viable and be something we offer guests. Then there will be the dimension of communication breakdowns and and interpersonal conflicts, and we'll need to build up resilience to those by growing a culture of conflict resolution steps that work for us. Do you have a long-term plan for sustaining the project? Yes, the project will be indefinitely self-sustaining, because we'll be charging rental fees for guests to stay there. The economics of a retreat center serving groups of up to 60 is very favorable if we can market it effectively. It's even possible we'll do such a good job that there will be some excess income we can use to incubate other projects. What are some ways for people to support the Ócate Cliffs project? The most direct way is to come to our first work camp for a week, this June. The idea with that is to start building the relationships that will build the Ócate Cliffs family, while we're building the place. Of course it needs money too and finding us some startup donors would be helpful. Gifts to this project are incredibly generative and efficient, because the investment builds a place and a family that becomes self-supporting. What advice do you have for autistic people who would like to start a community retreat but aren't sure where to start? The starting point for you will be different than for me. Success will depend on strong relationships, and that's hard. There's a nice proverb: "If you want to go fast, walk alone; if you want to go far, walk together." Divergent Labs has an organizational structure that allows it to be an umbrella for other projects, so running your ideas by the board is one way to start talking.